Good morning. Here are a few pointers that will help Saturday’s race go smooth. Packet pick up and race day registration will open at 7:30 at the pavillion by the log cabin. Take a right at the first stop sign after entering the park and you can’t miss. The race will start promptly at 9:00. The course is out and back. A few steep but not too long hills are in the first half and you get to fly coming home. The course will be marked with flagging and arrows and signage. There are a few small water crossings and wooden bridges that may be slippery due to the expected weather, use caution! Your feet will thank you for dry shoes and socks post race. Please also bring your own water bottle as there will be none available on the course. You are welcome to fill your bottles from our igloos at the start. 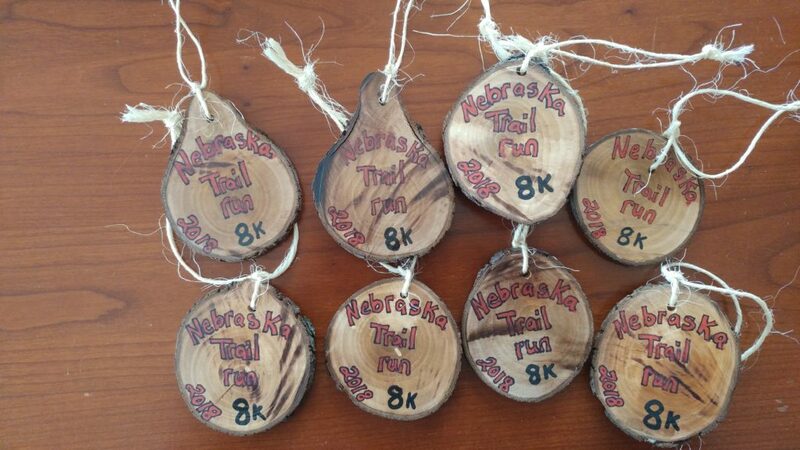 Be sure and pick up your hand made wooden medal from the awards table after you cross the finish line. We also invite you to have some hot chocolate and home baked goods and a chance at a few door prizes. Full results and photos will be posted at the website on the bottom of your race number. Looking forward to an epic and fun time. This entry was posted in Uncategorized on April 12, 2018 by runguru.